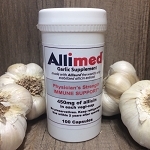 Allimed Liquid Garlic Supplement - Eight ounces of liquid Allimed in a plastic bottle (no dispenser). Ingredients: water, allicin. 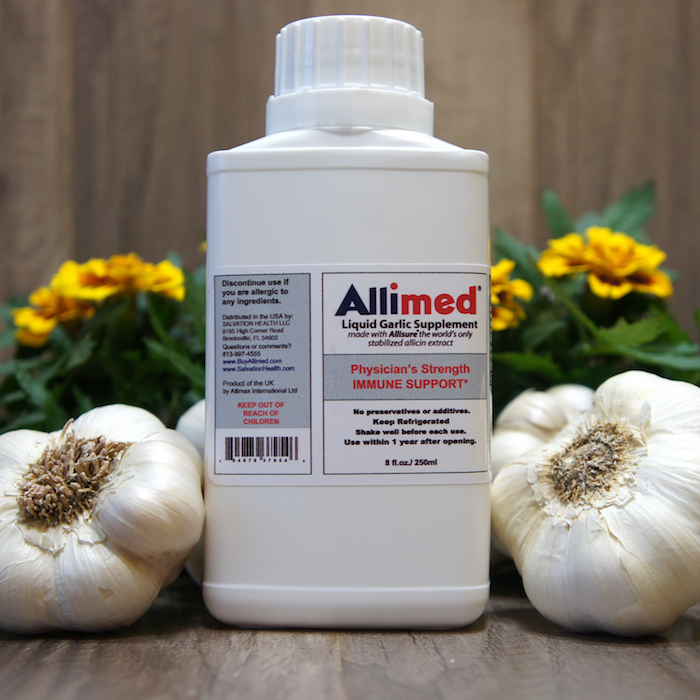 I can't remember the last time I was sick since I have been using Allimed. Product is golden. I have been using both the Allimed liquid and capsules for awhile now and have been feeling so much better. Will be part of my routine forever.